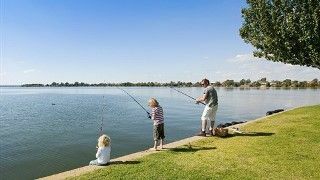 Set on the NSW and Victorian borders and dividing the twin towns of Yarrawonga and Mulwala, the majestic waters of Lake Mulwala are a mecca for water sport and fishing enthusiasts. 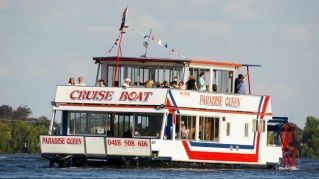 An area known for its temperate climate and abundance of sunshine , there are so many local tourist attractions in Yarrawonga / Mulwala, the only limitation is your time! 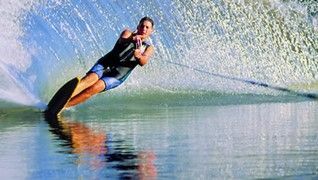 Enjoy water skiing, sailing, swimming or cruising the Lake. With the reputation as the best Murray Cod fishery in Australia, why not try your luck! 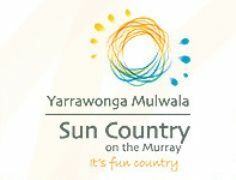 Explore the mighty Murray River with walking tracks and river beaches, or take a trip down the farm gate trail and sample the delicious local food and wine or perhaps a little shopping along Belmore Street. For the golfers, enjoy a leisurely round at our local 45 hole golf club or visit the 18 hole Black Bull composite course. Whether for adventure and relaxation, Lake Mulwala, an 'Inland Aquatic Paradise' is the ideal holiday destination.